With Christmas almost here, the last thing you want me to tell you to do is to review your financial year, especially with the spending binge you might be about to embark upon. It seems easier to just push things forward to next year, but do consider making just a few money moves before 2018 runs out. How have you fared in 2018? 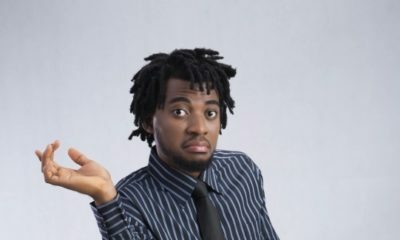 Did you start a new job or leave a job? Did you get married this year? Did you get divorced or widowed? Did you start a family or have a new baby? Did you retire? Whether there have been notable changes in your personal or professional life, or even if it has been relatively uneventful, your personal finances need periodic attention, say, at least once a year for you to get a clear view of your current financial situation. An important part of managing your personal finances is keeping your financial records organized. Where are your documents? If you suddenly had to produce one of them, would you struggle? Whether it’s a utility bill to show proof of address or your Tax Clearance Certificate, there may be times when you need to locate a financial record or document fairly quickly. Save yourself the stress and be organised. If you are one of those who keep everything because you “might need it someday,” you are probably overwhelmed with paper everywhere that you don’t need. Paperwork consumes our offices and homes and our lives. All those paper bills and statements tend to pile up, and they need to be destroyed or stored securely. One of the best ways to store and backup your data is to invest in a document scanner and scan your critical personal and financial documents. We all have some sensitive personal documents, such as passports, birth certificates, title documents, stock certificates, educational certificates or your marriage license; you need to scan or photocopy these documents for your household files. Ideally, the original documents should be stored in a sturdy fireproof filing cabinet or a small fireproof safe. List out all the contents and make copies to be kept with your lawyer or some other reliable family member or friend. It is important to protect these from the risk of fire, flood or other disasters. Don’t go overboard in trying to create Fort Knox at home, but at the same time don’t leave things lying around in cardboard boxes at the bottom of your wardrobe for an unscrupulous housekeeper to rifle through whilst you are at work. Putting documents in categories helps keep you organized. • Financial management (bank statements and loan agreements). • Insurance documents (policies for your car, health, life). • Real estate documents (Title documents, rental agreements, etc.). • Estate planning documents (Powers of attorney, will, trusts). • Investments (stocks, bonds, mutual funds). • Tax documents (income tax returns, charitable giving). • Employment records (retirement benefits, Curriculum vitae). • Educational documents (certificates, professional qualifications, NYSC Certificate). • Home-related documents (warranties, receipts for major items, renovation receipts). • Medical and health records (Latest health check, recent appointments, medical bills or payments). • Legal documents (passports, personal records, marriage license, birth certificates, national ID). Many Nigerians find themselves victims of fraud and identity theft, in which personal documents are stolen and the data is used fraudulently. Your financial information is very personal and it is essential that you maintain confidentiality to protect yourself from fraud. When your rubbish is picked up, you don’t know exactly where it ends up. Don’t just carelessly discard old financial statements; all those old bills, bank statements can become prime targets for thieves. Consider buying a shredder so that you can immediately shred any sensitive documents that you no longer need; this way you can minimise the chances of the wrong person getting at the information. Embrace technology. Why not organise your finances electronically? 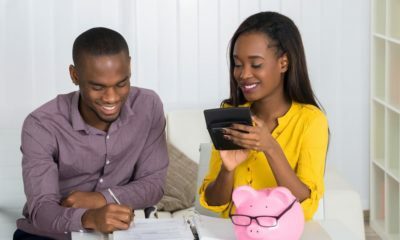 Advances in personal finance software have made it possible for anyone with a computer and regular internet access to create budgets, pay routine bills, manage bank accounts, track everyday finances, and monitor investments. If you haven’t already done so, register with your bank’s e-banking services and most of your regular transactions can be handled electronically. There are also personal finance apps that make money management a breeze. When last did you review your short, medium and long-term financial goals to see if you are on track? Is your portfolio of the right mix to make it possible for you to realise those goals? If your circumstances have changed, there may be a need to review things and make some adjustments. When you are investing, your time horizon, your risk appetite, your immediate and medium to long-term needs should be taken into account. Your investments should be matched with goals and time frames; saving for a new car, or family vacation or for your children’s education, etc. Sit with a financial advisor, stockbroker, real estate expert, insurance advisor and take a look at your investments; what are the prospects? Should you continue to hold them all? Should you take advantage of the dip in the capital market to buy some more of a particular stock since some are trading significantly below their true value? What is your net worth? Have you ever considered what you are worth? Ideally, your net worth should increase each year, showing that you are making progress and that your financial decisions are actually working. By tracking your assets and your liabilities, you have a fair indication of where you stand financially. If you can, compare it to your net worth at the same time last year to see how it’s changed; what has worked and what hasn’t. This information can influence your plans for 2019. Give your insurance some attention.Things happen; circumstances change. How has this year changed? Most significant life events have financial consequences that need action. Any significant changes such as a new baby, a marriage, divorce or a death in the family, may mean that your insurance coverage will need to be re-evaluated. Do you have an estate plan? An estate plan has as much to do with life, as it has to do with death. If there have been some major life events this year, a review of your estate planning documents, including your will and trust are important. This is simply to ensure that your family can be taken care of according to your wishes for them. 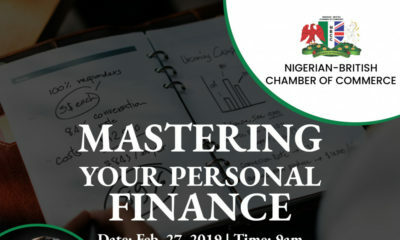 Join us on Saturday 12th January 2018 at “Financial Resolutions for 2019” to formulate your financial goals with a definite plan to achieve them. Register at www.moneymatterswithnimi.com/financial-resolutions-2019. Together we will look at important financial goals and resolve to execute on them.